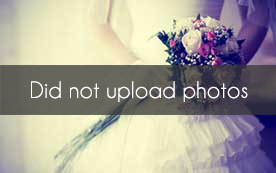 Select photos you like; we'll recommend wedding bartenders and waiters in Atlanta Try now! 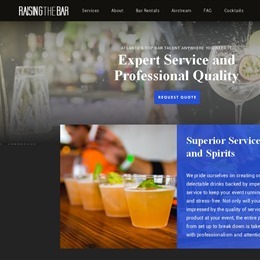 Raising The Bar was created by two friends from college who recognized a need for professional, skilled bar teams at events around Atlanta without blowing an entire budget. 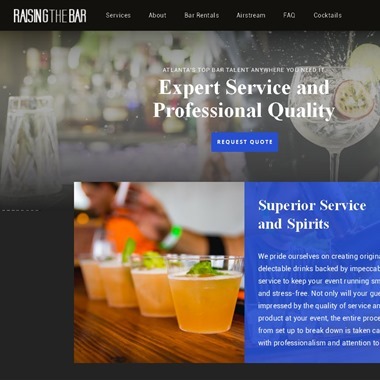 They saw the impact a great bar can have at an event and decided to focus on providing truly experienced and professional talent hosts and guests alike took notice of. 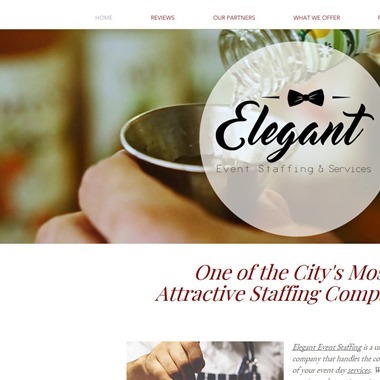 Elegant Event Staffing is a unique full service company that handles the coordination of all of your event day services. 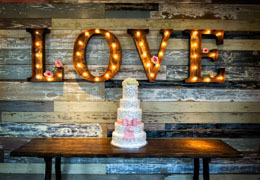 Whether you need catering, valet service, waitstaff, bartenders, or just an extra set of hands at a child's party; we've got you covered! Natalie Lee founded Busy Bodies Staffing and Hospitality Solutions, LLC in September of 2010 after years of planning and hosting events for close friends and family. 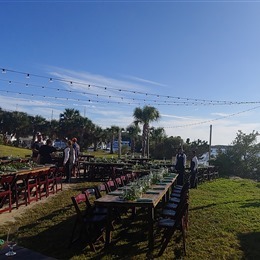 Hospitality had always been her passion, and though she so enjoyed the details that went into hosting, she also found it daunting to coordinate event day tasks while simultaneously entertaining guests. At Foreign Mixes we go above and beyond simply mixing a few drinks. We offer a complete bartending service so the only thing you have to think about is if you want your next drink neat or on the rocks. 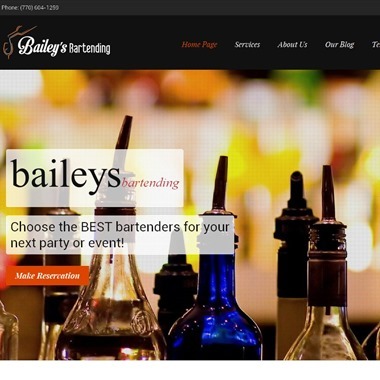 Bailey’s Bartending has well trained bartenders equipped with the talent and grace that make any event memorable. 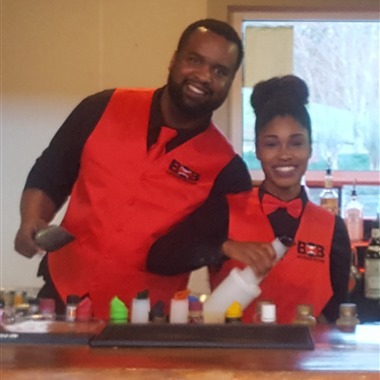 Allow my Mixologists to take the stress out of bartending your own event and experience the happiness that comes with cherishing your special moment. 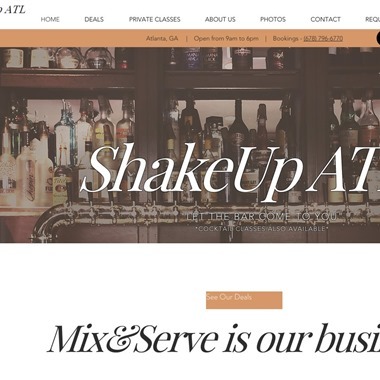 ShakeUp ATL is an Atlanta and Metro area mobile bartending service. 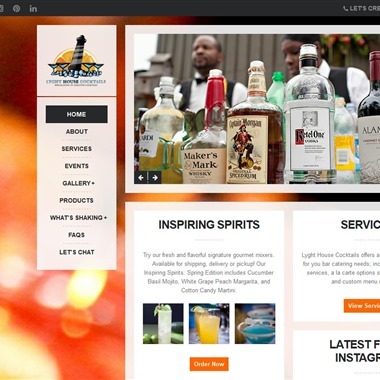 We focus on providing a high quality professional bartending experience for any occasion. With the use of our natural house made mixers your party will be a hit. 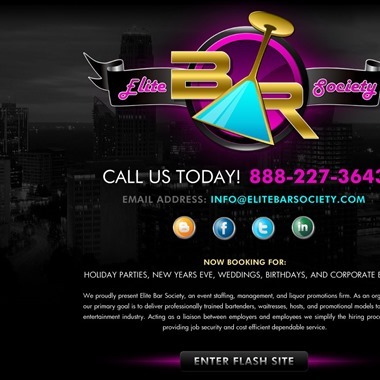 We know what it takes in order to provide an unforgettable experience for our clients.